I needed the backsplash in my kitchen tiled. 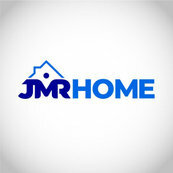 JMR Home services did a great job, very professional - very pleased with the results. We are happy to hear that you had a great experience with us and that our price good. We are thankful for the opportunity and for awarding us the job! We are extremely happy to hear you are satisfied with our work and with our customer service. Hello Brenda, thank you so much for this wonderful review!! We are glad to hear that your experience with JMR was a good one! We hope to work with you in the future for any projects you may have.